My research seeks to answer related questions concerning the history of women, gender, childhood, and family and the historical and interdisciplinary study of material culture. My published work has mainly focused on the Carolingian world writ large, but as a broadly trained early medievalist, I remain engaged in the study of much of northwest Europe in the Early Middle Ages and am committed to understanding that region in broader temporal and geographic contexts. I am currently finishing a book titled "Textiles, Clothing, and Society in the Carolingian World," which examines a crucial form of material culture in order to reassess Carolingian society. A nascent book project on early medieval childhood that draws from both material and textual sources is also underway. This study will investigate children and ideas concerning children through the methodological lenses of gender studies andmaterial culture studies. In addition, I serve as an editor for the journal Medieval Prosopography. 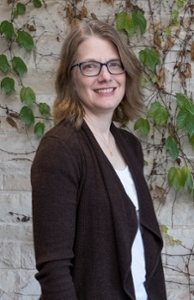 My research has been supported by membership in the School of Historical Studies, Institute for Advanced Study, Princeton; a Bonnie Wheeler Fellowship; a Solmsen Postdoctoral Fellowship; the Fulbright Program; a Franklin Research Grant from the American Philosophical Society; and a Research Project Grant from the Pasold Research Fund. Edited. A Cultural History of Work in the Medieval Age. Bloomsbury Press, 2018. Edited with Owen M. Phelan, Rome and Religion in the Medieval World: Essays in Honor of Thomas F. X. Noble. Ashgate Press, 2014. Read reviews here and here. Women and Aristocratic Culture in the Carolingian World. Cornell University Press, 2009, paperback edition 2012. Read select reviews here, here, here and here. “Sensory Experiences of Low Status Textile Workers,” in Sensory Reflections: Traces of Experience in Medieval Artifacts, ed. Fiona Griffiths and Kathryn Starkey, Berlin: De Gruyter Press, forthcoming October 2018. “Work, Skill, and Technology,” in A Cultural History of Work in the Medieval Age, ed. Valerie L. Garver, London: Bloomsbury Press, 2018. “‘Go humbly dressed as befits servants of God’: Alcuin, Clerical Identity, and Sartorial Anxieties,” Early Medieval Europe 26.2 (2018): 203­–230. “Conceptions of Children and Youth in Carolingian Capitularies,” in Childhood in History: Perceptions of Children in the Ancient and Medieval Worlds, ed. Reidar Aasgaard and Cornelia Horn, London: Routledge, forthcoming 2018, 209-223. “Alcuin of York,” in Oxford Bibliographies in Medieval Studies, ed. Paul E. Szarmach, New York: Oxford University Press, 2017. “Material Culture and Social History in Early Medieval Western Europe,” History Compass 12/10 (2014): 784-93. “Textiles as a Means of Female Religious Participation in the Carolingian World,” in Ancient and Medieval Religion in Practice, ed. Sari Katajala–Peltomaa and Ville Vuolante, Helsinki: Acta Instituti Romani Finlandiae, 2013, pp. 133-44. "Girlindis and Alpais: Telling the Lives of Two Textile Fabricators in the Carolingian Empire," in Writing Medieval Women's Lives, ed. Charlotte Newman Goldy and Amy Livingstone, Palgrave Press, 2012, pp. 155-72. “Childbearing and Infancy in the Carolingian World,” Journal of the History of Sexuality 21.2 (2012): 208-44. “Weaving Words in Silk: Women and Inscribed Bands in the Carolingian World,” Medieval Clothing and Textiles 6 (2010): 33-56. In addition to teaching History of the Western World, I offer a variety of classes about the Middle Ages at the undergraduate level. My specific teaching interests include the Carolingian world, the social history of the European Middle Ages and the history of women, gender, childhood and family. In addition to teaching history classes, I regularly teach two interdisciplinary courses in medieval studies. I have also offered courses on Knights and Samurai with Professor Taylor Atkins, and on medieval history as depicted in the HBO show Game of Thrones, which received a lot of media attention in 2015. At the graduate level, my teaching interests focus upon western Europe in the early Middle Ages; women and gender; childhood; the history of Christianity; and the historical use of material culture.